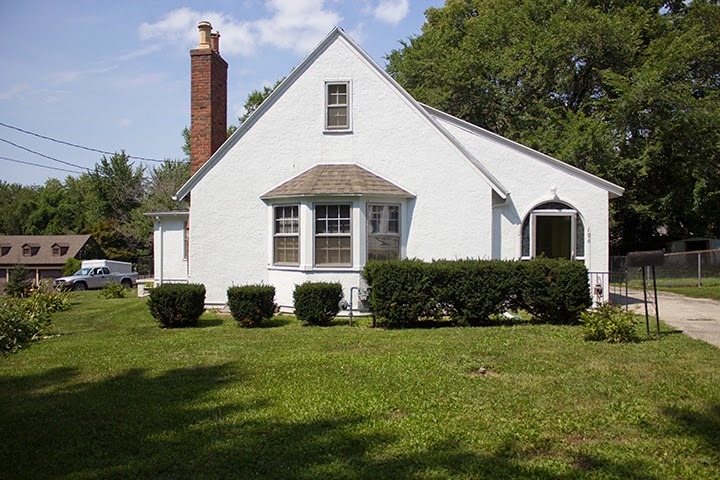 I can't believe I've never shared a picture of Eric's little cottage from the outside. This morning I ran drove over and took some photos. I love the arched doorway! I wanted to share his fireplace wall again because I love this area! This is what it looks like now and Rick, my husband, used to be a brick mason and will be repairing the inside of the firebox soon. Eric also has a great painting that he wants to hang over the fireplace and that's the reason the mirror had to go. I had to re-texture the wall because it was cracked and painted it to match the rest of the walls. 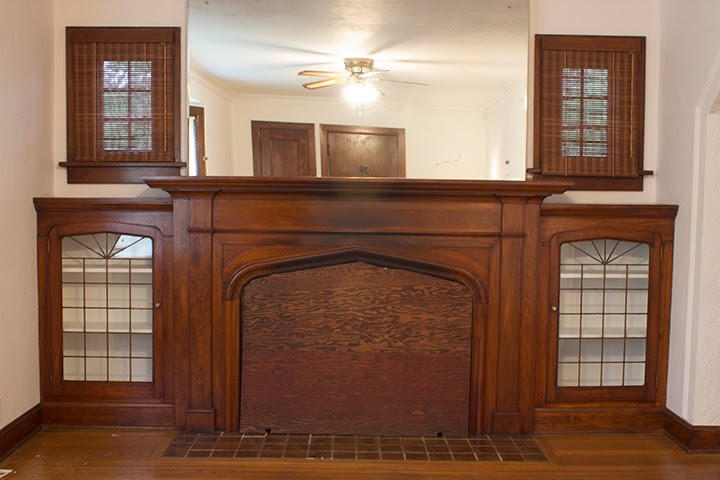 This is what it looked like before they removed the huge mirror over the fireplace. Every time I came through the front door and saw my reflection in the mirror is scared me thinking someone was inside the house. They taped the mirror and it didn't break when they took it down. 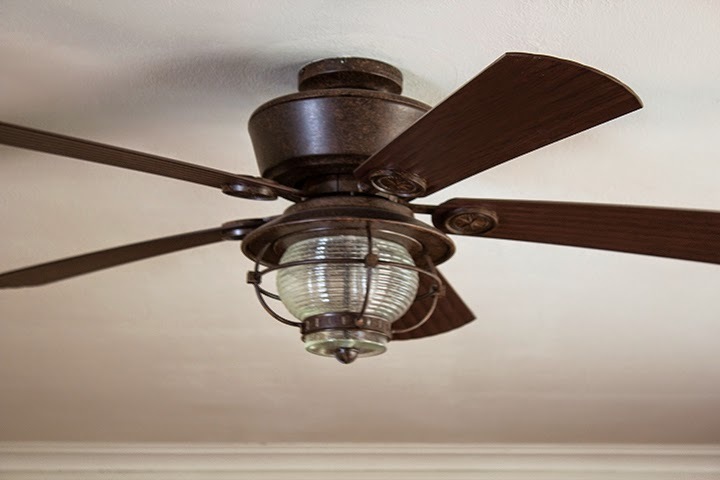 They also removed that old ceiling fan with the brass fixtures and wicker blades. This is the new ceiling fan they installed. 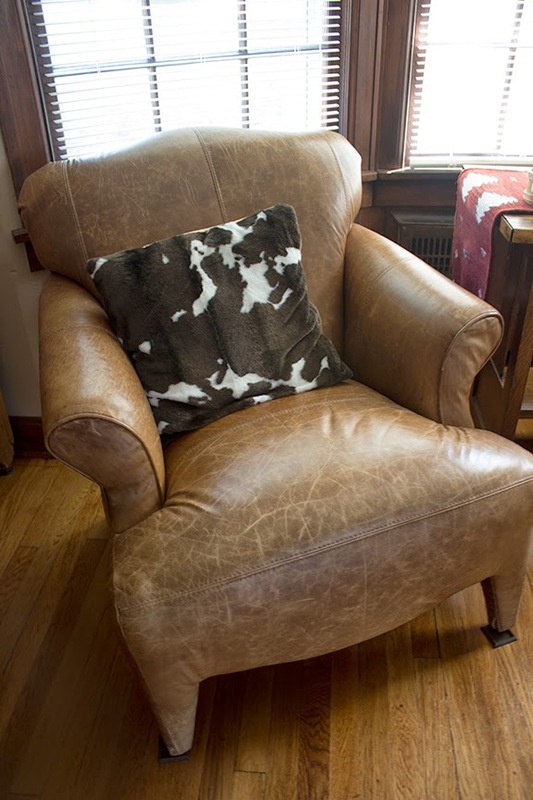 I just love his leather chair in this front room. I was in a hurry when I left my house and forgot to bring the tripod so the pictures aren't the best. Nothing has been hung on the walls yet, but as soon as that happens and he finishes unpacking, I'll share some more. I am loving Eric's house. 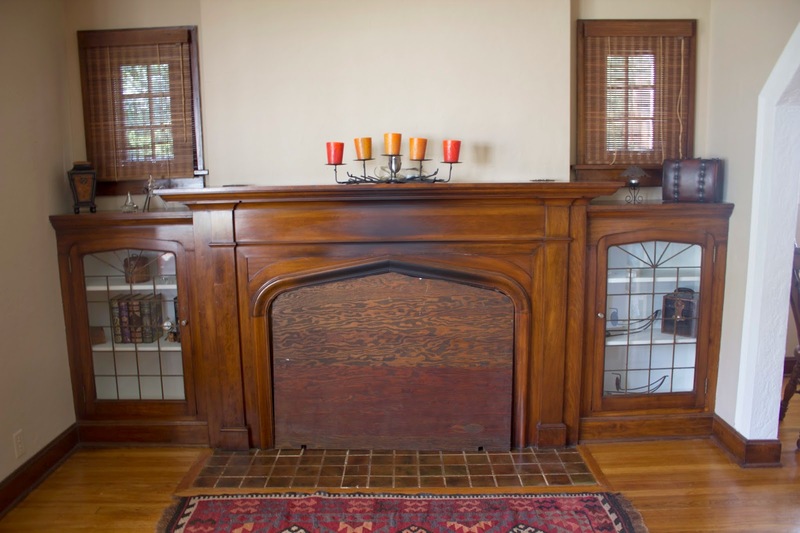 I love the fireplace and the built ins around it. That is a completely charming cottage! What great built-ins around the fireplace. Can't wait to see what it looks like when Rick has had a chance to redo the inside. Oh the possibilities of such a place! What a charming house! I love the fireplace area as well. What a beautiful old home! Looking forward to seeing it furnished!